On August 5 Fred Carnahan (Fish on Fred) failed to show up for work. He had been fishing the North Umpqua around Swiftwater Park. Apparently he was assaulted while fishing and 8 days later his truck had not moved. There has been a search going on for the last couple of days and the body of a fisherman in waiders was pulled from the river today. Fred was a class act and very good fisherman. I do not know if foul play is suspected or not at this time. This is a terrible loss. Fred was a wonderful person and very active in keeping the rivers clean and beautiful for us to enjoy. He will be missed. My heart goes out to his family. On August 5 Fred Calahan (Fish on Fred) failed to show up for work. 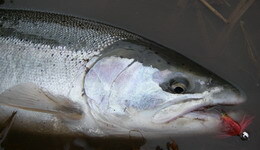 He had been fishing the North Umpqua around Swiftwater Park. Apparently he was assaulted while fishing and 8 days later his truck had not moved. There has been a search going on for the last couple of days and the body of a fisherman in waiders was pulled from the river today. Fred was a class act and very good fisherman. I do not know if foul play is suspected or not at this time. This is a terrible loss. Fred was a wonderful person and very active in keeping the rivers clean and beautiful for us to enjoy. He will be missed. My heart goes out to his family. Sad news. My heart goes out to his family and friends as they grive for Fred and come to grips of not having him in their lives. Hopefully they will find peace in knowing he was out doing what he loved. It is my hope that he hooked a monster fish, brought it to the bank, a fish of a lifetime, and while catching his breath and releasing the fish suffered a massive heart attack, died instantly and both he and the fish drifted down stream. I was at Swiftwater Park that weekend. Please PM me. This is terrible, no matter how it happened, but....could you explain "apparently he was assaulted while fishing"? One report locally said he had called his sister to tell her he was assaulted by two fishermen one of them punched him in the face. Another report had the same story only that he had called his mother.There is a link to the story on the KVAL news site. Are you freaking kidding me??????? That is terrible. Location: King Salmon , CA . Wow, sad news. He was frequently calling here to see how the fishing was "this is Fish On Fred..." he'd always start out. Hope they figure out what happened. That is so sad and I wish to give my condolences to his family and friends. I sure hope this was not a result from some kind of assault. I sincerely hope they are able determine the cause in its entirety for the sake of the family. Wow!!! Cant even comment.Prayers to him and his loved ones. My condolences to his family and friends, that's terrible. sad news. prayrs to the family. the schwindt family. Wow this is very tragic. Condolences to his family. 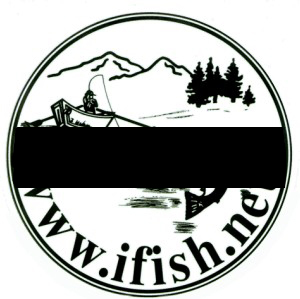 Im new to ifish and did not know Fred but it sounds like he was a great guy and had many freinds here. I sincerly hope they can find the people that assaulted him if this is what has happened. I do offer my deepest condolences to his family. The article said there wasn't anything that pointed to foul play. Whether it was an accident or not is moot as the family still has to deal with this tragedy. I guess what I'm saying is, be careful out there guys. They just pulled a body out of the N. Santiam this week of a fisherman, and then this situation with Fred, has really got me thinking about how safe I am while wading on the river. You just hate to hear about this kind of stuff, I guess one consolation is that he died doing what he loved, not bed-ridden and miserable. That was a very short news article. Hopefully followup will have more details. First and foremost, my condolences go out to Fred's family and friends. It is truly a sad day. Having grown up on that river, I can relate to a certain element that has sprung up as of the last couple of years in that general area of the N. Umpqua. For the most part the people that you meet on the river are cordial and friendly, however, there are some folks who really do not take too well to common courtesy and are somewhat territorial. I was chased out of the Burrito hole last year (which is just down river of Swiftwater) and I was even there before anyone else was. I stick to fly only water these days and still can find my serenity without dealing with any sort of "combat" fishermen. Again, my prayers go out to Fred's family. by some runaway's they took his truck, and thats how they were caught. Sorry to read such sad news. I agree with everyone with send condolences to his family. I have had a few shakey run-ins with some people out on the Wilson. THey act like they own the hole and are mad that someone else would even want to fish it. I really hope that a run in with some of these types of people isnt what happened to Fred. Oh my gosh. I don't know what to say. I'm so sorry. I am so thankful that you told us. Please know that we are all praying and thinking about him, his family, and friends. My thoughts and prayers go to the family, I will go with the best of thoughts that he went with a beautiful fish on the line and a grin on his face..
My thoughts and prayers go out to his family in their time of grief. What a tragedy. What a strange sad story. Makes you wonder what really went on. Sad news indeed. Please update us on the assault part of the story. Hopefully Fred was not the victim of a crime. My heart goes out to all family and friends. Since the assault appeared to have happened a couple weeks ago, we need to drop that part and just keep this to offering condolences to the family and friends because they ARE reading this. We cannot speculate unless we were there. Please think about what you post. The people left behind have to live with all of this. Be compassionate. Our hearts goes out to his family, Wish i or some of us i-fishers would of been in that area. I pray for comfort for the family. This is terrible. IDLEYLD PARK � Search and rescue crews recovered a dead body Friday evening from the North Umpqua River in front of the Narrows Wayside, a Douglas County park, where a group of swimmers had discovered it around 1:30 p.m.
At about 6:45 p.m., the Douglas County Sheriff�s Department�s Marine Patrol and the South County Swiftwater Rescue team retrieved the body, which appeared to be an adult male, from turbulent waters. The body, dressed in olive-green fishing waders and a beige shirt, had been wedged sideways in the river against a large rock, face down, with most of its back and left shoulder exposed. It was facing the south bank, away from Highway 138 East. The recovery effort took longer than expected when the Sheriff�s Department learned that the Douglas County Fire District No. 2�s Swiftwater Rescue team would not provide assistance with retrieval of a deceased person and had to enlist South County Swiftwater Rescue, of the Tri City, Riddle, Canyonville and Myrtle Creek fire departments. �They determined that since it was a deceased person they weren�t going to risk someone�s life,� Sheriff Jim Burge said at the park. The body was located about 10 feet downstream of a pool in the middle of a stretch of river popular to fishermen known as The Narrows, just east of the Idleyld Trading Post store. Ripples of whitewater surrounded it and just 20 feet downstream was a massive chute of whitewater that dropped several feet in elevation and is considered to be either a Class IV or V rapid. The Juetts � three brothers, one sister and one wife, all from Roseburg yet now living in different parts of the country � immediately phoned police. Douglas County Sheriff�s Detective Scott Batsch treated the area as a crime scene. The body was found near the area where search and rescue crews probed the river and its banks this week for Fred Wayne Carnahan, 45, of Cottage Grove, missing since Aug. 5. About a dozen family members and friends of Carnahan had joined the effort, which included a helicopter and a dive team between Swiftwater Park and Lone Rock Boat Launch. The Cottage Grove Police Department listed Carnahan as a missing person Tuesday. His 1998 Toyota pickup was discovered Wednesday parked on the side of Highway 138 East, near Swiftwater Park, a fishing area Carnahan often frequented and about three-quarters of a mile upstream of The Narrows. Carnahan had reported to his family that he was assaulted there July 29 by two reportedly drunk men, with a black eye to show for it. His family worried he would soon return to the area. Carnahan was on his way to Winston to work. Botsch, who described Carnahan as 5-foot-eight-inches tall and about 150 pounds, said he checked into Carnahan�s history with the Cottage Grove Police Department and found no reason to believe the man would have enemies or foul play was involved with his disappearance. Another group of swimmers on Friday found a fishing pole in a river pool downstream of The Narrows and reported it to police. The story above is an update of the original story, which appears below. Things always work out in the end, if they haven't worked out, its not the end yet. very sad my heart goes to his family. It's sad, but...I don't know about the rest of you, but, other than the black eye a few weeks ago, Fred's news report reads like I hope my death report does some day. I have long told my family that when I die, I want it to be from being pulled in by a really big fish. May Fred rest in Peace. To his family and friends, I didn't know Fred but wish their pain is lessened by the knowledge he was out doing what he loved in life. Fish on...Fred! Rest in peace. My thoughts and prayers go out to his friends and family. Warren Kemper was my best friend in grade school. I remember when this happened to his grandfather. I have told the story many times over the past 30 years. My father was a state policeman and helped in the recovery efforts. Very sad indeed...condolences to Fred's family. Pulled this photo off of Fred's album. May the fish bite harder, run faster, jump higher and bend that rod to the water. from my famaly to Freds, may peace be with you in your troubled times. shiver me timbers, I'm a sailin away..."